Meet our Summer 2017 Screenwriting Contest Special TV Script Award Winner – INSURRECTION by Simon Bowler. Learn all about our very first winner of the brand new “Best Teleplay or Pilot Award” Simon Bowler, and his script INSURRECTION. Simon is the first winner of the award we introduced to the Summer 2017 Contest and here’s your chance to learn more about him and why his script won him this accolade. The fact we created these awards tells you something about the quality of the submissions we’ve been receiving in those categories lately – and now you can learn more about our TV winner Simon and his script… For winning Simon recevies free Development Notes, as well as a free re-entry to our Winter 2018 Contest. INSURRECTION tells the interwoven stories of three men[ – a farmer, a slave and a senator – ]whose dangerous battles against slavery led to the American Civil War. [: farmer John Brown, slave Frederick Douglass, and Senator Stephen A. Douglas]. Meet our Spring 2017 Screenwriting Contest Second Placed Winner: THE FACTION by Kevin Karp! Just when you think you know who the protagonist is, something happens that makes you think twice. That’s what Kevin’s script does. Early twists in the opening 20 pages, goes against convention, setting the script up very nicely. There’s fresh industry interest in this genre right now too, so we’re looking forward to developing Kevin’s script! Kevin has also started his year of free script development with us. Once Kevin and his script is ready, we’ll move into the process of pitching his script to the industry. His script will be listed in InkTip’s directory, and the script’s logline being featured in their magazine, which goes out to thousands of writers and producers. Kevin’s script TOUCH THE FIRE recently won the comedy category in both the StoryPros Awards Screenplay Contest and the Capital Fund Screenplay Competition. 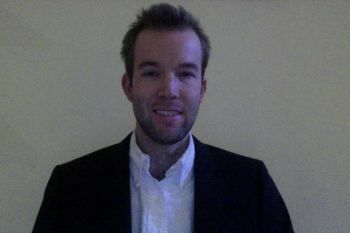 He studied modern European history as a Reynolds Scholar at Cambridge and has an undergraduate degree from Dartmouth. 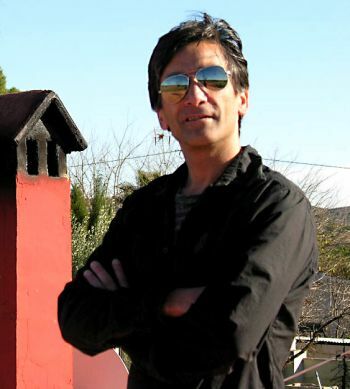 He has worked as a script reader at Lookout Point in London and as an international-trade advisor attached to a delegation of the European Parliament. In 1978, crippled by a blown operation that sees one of its agents murdered in West Berlin, MI6 activates skeptical veteran HILL to exact revenge on the man responsible: ex-SS war criminal ALD STITZMAN, who has taken control of the Stasi-funded Red Army Faction that is terrorizing West Germany. Congratulations to Kevin on being named our Second Placed winner! Meet our Spring 2017 Screenwriting Contest Third Placed Winner: BURNER by Bob Canning! Bob’s script had a hot start, with three big plot twists in the opening ten pages. That’s a great way to catch a reader’s eye! The script has a strong balance of action, comedy, romance and drama. Check out Bob’s short bio and logline for the script below: we’ll be working with him to refine these further during the coming year. 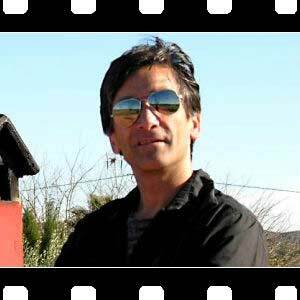 Bob has already started his one-year of free script development with us, and receives a $200 prize fund. Once Bob and his script is ready, we’ll begin pitching his script to the industry! Guaranteed! Plus, he gets an InkTip Script Listing and have his logline featured in InkTip Magazine so he can promote himself and his script to InkTip’s entire network of producers, managers, and agents. InkTip Magazine is sent to over 15,000 producers and representatives. 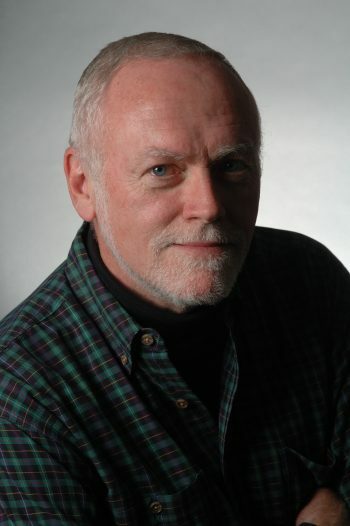 Bob Canning was a writer for the Disney Studios for 14 years, and is a published playwright with two international awards. His first full-length screenplay, a direct-to-video comedy called Takin’ it Off!, went Platinum in sales and begat two sequels. Blessée (Wounded), a romantic drama, is currently in the capable hands of an Oscar-nominated European director, and his globetrotting comedy about a 1940s James Bond, The Adventures of the Velvet Cat, has won several awards. He is excited about the reception his western-fantasy, The Ghosts of Silver Gulch, is getting, and for this award for his thriller, Burner. Fargo with sand. A Palm Springs police detective must put aside her health and marital problems to solve a brutal homicide, while the hitman responsible is now experiencing uncharacteristic bouts of guilt and anger after killing the wrong person. Congratulations to Bob on being named our Third Placed winner! Follow in Bob’s footsteps and enter in our current main international contest, the Summer 2017 Screenwriting Competition RIGHT HERE. Congratulations to THE ARENA by Belinda Whitney.on being named our Winter 2016 Screenwriting Contest Second Placed Winner. 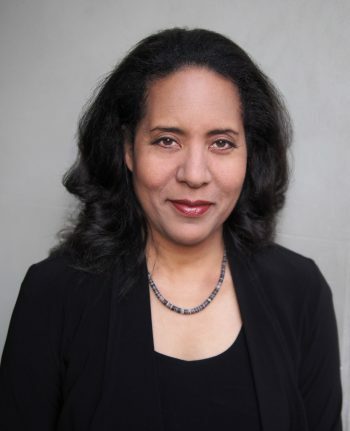 Belinda receives 1 Full year of script mentoring on her script, including development notes on all re-writes of winning scripts. Worth $3,200. Up to $1 million in option monies from the A-List producers we work with. If an established studio/production company with theatrical credits wishes to option the script, we will fly the winner to Los Angeles and pay (up to $4,000) for their accommodation. We will pitch the top three projects to relevant production companies (such as Neal Moritz Productions, Bruckheimer Films, Scott Rudin Prods.) & studios (Paramount, Warner Bros, Universal, etc.). Writer keeps ALL the option/sales money. The names of the top three winners and their projects are mentioned in press releases and on the web. The names of the top three winners and their projects are mentioned in press releases and on the web. “Belinda Whitney is a professional violinist, as well as fiction writer and screenwriter. She received a Certificate in Screenwriting from NYU. She has published science fiction and fantasy and been anthologized in several short story collections, including those of the Minnows Literary Group. A futuristic gladiator battles for his life while trying to shield the son he loves from the brutality of the arena. Congratulations to Belinda on being named our Second Placed winner! Follow in Belinda’s footsteps and enter in our current main international contest, the Spring 2017 Screenwriting Competition RIGHT HERE – Second Place now wins $300 in cash! 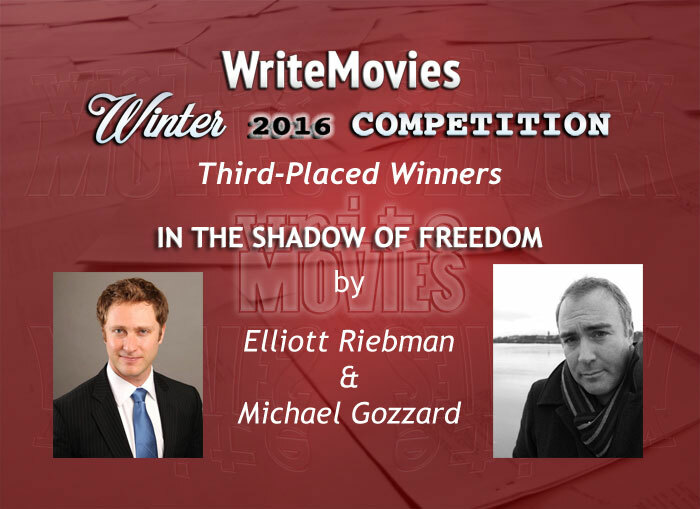 Elliott-Riebman-and-Michael-Gozzard, the WriteMovies Winter 2016 screenwriting contest are the 3rd placed winners for their script IN THE SHADOW OF FREEDOM. Tory Williams, the overall WriteMovies Summer 2016 screenwriting contest winner, came out on top for his script RINGMASTER.